The Braves agreed to a one-year contract with left-hander Josh Outman and finalized free-agent deals with right-hander Jason Grilli and catcher A.J. Pierzynski. From the Yankees:The Yankees tonight acquired LHP Josh Outman from the Cleveland Indians for a player to be named later or cash considerations. In 31 appearances out of the bullpen for the Indians this season, Outman was 4-0 with a 3. Veteran right-hander Joe Blanton reached agreement on a minor-league contract with the Oakland Athletics and has been assigned to their Triple-A Sacramento affiliate. The River Cats anounced the deal Monday on their Twitter account. The Indians have avoided salary arbitration with reliever Josh Outman by signing him to a $1.25 million, one-year contract. The Indians have acquired left-hander Josh Outman from Colorado for outfielder Drew Stubbs. Perhaps the Chicago Cubs are not really all that serious about getting rid of Jeff Samardzija, who could well be their Opening Day pitcher if no other team comes up with a trade package that will convince the Cubs to let their ace go. The Colorado Rockies have activated left-hander Jeff Francis from the 15-day disabled list and designated right-hander Jon Garland for assignment. 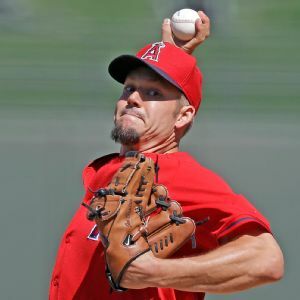 Reliever Josh Outman was recalled Friday from the Colorado Rockies' Triple A affiliate in Colorado Springs, giving the big league team another left-hander in the bullpen. LAS VEGAS 5, COLORADO SPRINGS 4 (11 innings): Reese Havens' single to center Havens scored Juan Lagares for the walk-off win. In his third start with the 51s, Zack Wheeler surrendered three earned runs on six hits and no walks while striking out eight in 5 1/3 innings.